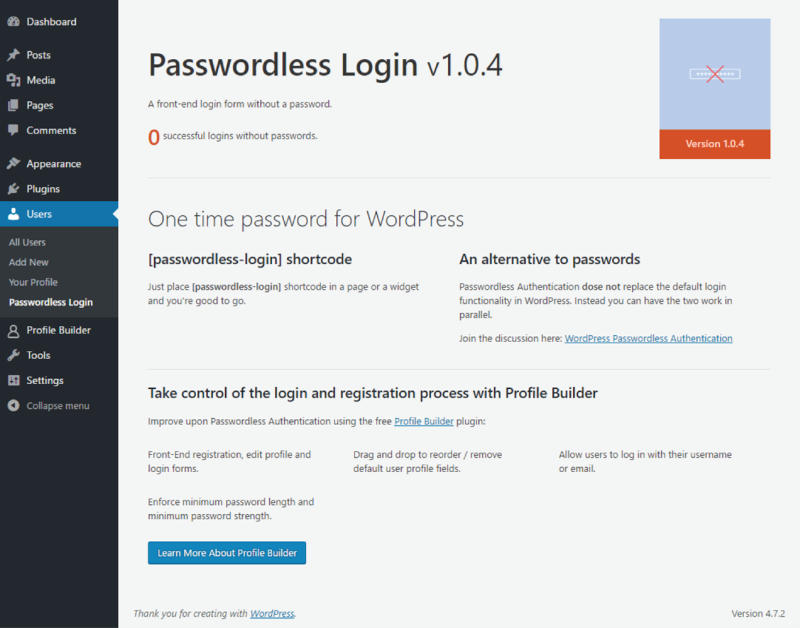 Passwordless Login Plugin is a modern way of logging into your WordPress site without the use of a password. Instead of asking users for a password when they try to log in to your website, we simply ask them for their username or email. The plugin creates a temporary authorization token and saves it into an usermeta entry which is valid for 10 minutes. It then sends the user an email with a link which contains the token. When the user clicks on the link, he gets sent to your website where the access token is verified and if it is valid, it will create the log in WordPress Cookie, successfully authenticating the user. First of all, click on the button below to download the plugin. Once downloaded, you can install the plugin as a normal WordPress plugin, by uploading the .zip file in your WordPress Admin -> Plugins -> Add New -> Upload Plugin. 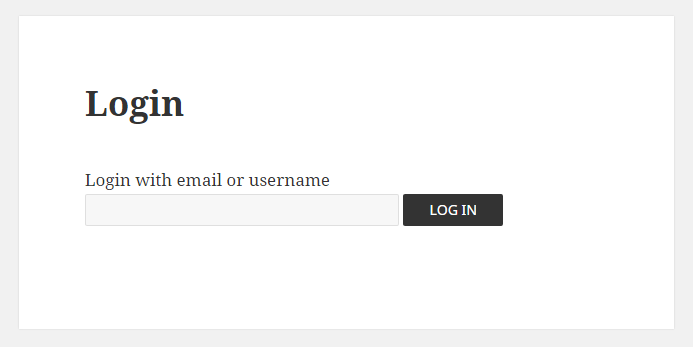 Alternatively, you can install the Passwordless Login Plugin by extracting the folder found inside the archive and uploading the entire folder via FTP to your /wp-content/plugins folder found inside your WordPress install. In order to create a Passwordless Login form in Front End you will need to add the [passwordless-login] shortcode inside a page. The Passwordless Login shortcode can also be added as a widget in the sidebar by going to Appearance -> Widgets and adding the [passwordless-login] shortcode inside the Content box of a Text Widget. 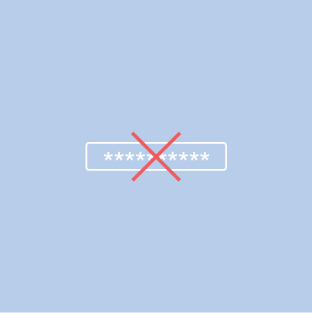 In order to use the Passwordless Login plugin your users will need first to Register. Profile Builder Free, Profile Builder Hobbyist or Pro is compatible with Passwordless Login plugin and you can use the [wppb-register] shortcode to generate a Registration form in Front End and the [wppb-edit-profile] shortcode to generate an Edit Profile form in Front End. You can also use the [wppb-login] shortcode if you want to give your users the possibility to login with a password. 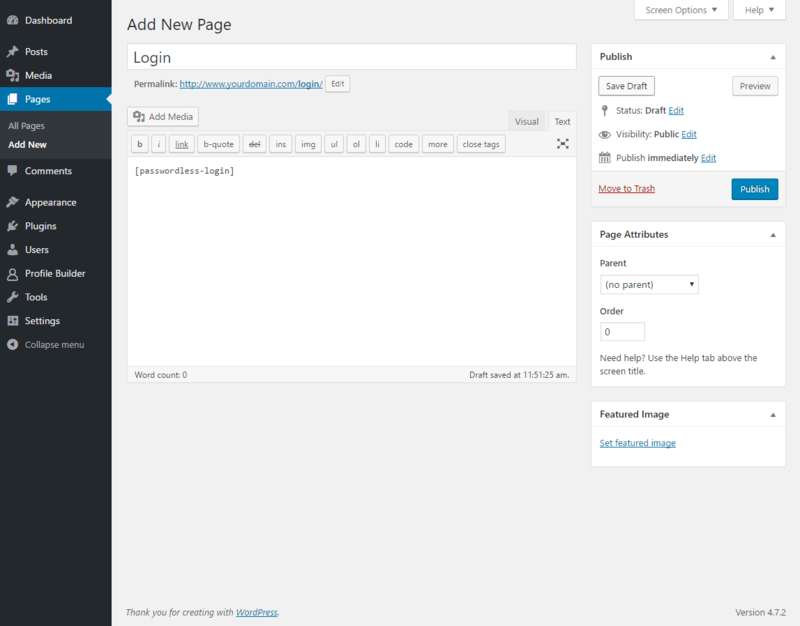 Registered users will be able to login using the Passwordless Login form in Front End. After clicking on the Log In button a notice will be displayed. Also the plugin creates a temporary authorization token and saves it into an usermeta entry which is valid for 10 minutes. It then sends the user an email with a link which contains the token. This how the Email Notification received by the user looks like. When the user clicks on the link he gets sent to your website, on the Login page, where the access token is verified and if it is valid it will create the Log In WordPress Cookie successfully authenticating the user.